Prestige Deck Coating in Newport Beach, installs the toughest deck waterproofing systems in Orange County Ca. Each and every deck coating is custom inspected, re-coated and resurfaced accordingly, to be sure your deck coating never leaks again. Whether you have a balcony deck, walkway, stairs or most other types of exterior flooring, we can repair and resurface it. The deck coatings in Newport Beach are important to reseal correctly because of our scorching hot summers and our harsh rainstorms in the winter. If your deck coating in Newport Beach have any type of cracking or delaminating, its time for a repair and resurface by Prestige Deck Coating in Newport Beach. Here is a step by step breakdown of how our 5-coat decking resurface and deck waterproofing system works. After Prestige Deck Coating in Newport Beach inspects your deck, we assess the type of resurfacing needed. We first start with a layer of our metal lathe stapled directly to the wooden sub-floor. Next, Prestige Deck Coating in Newport Beach will apply our extra strength polymer based concrete across the metal lathe. This gives just the right mixture of strength and flexibility to your deck coating project in Newport Beach. We then lay down our cloth fiberglass and generously apply our bonder 480, so it soaks and penetrates the fiberglass, producing a powerful adhesion to the concrete layer of the deck coating. 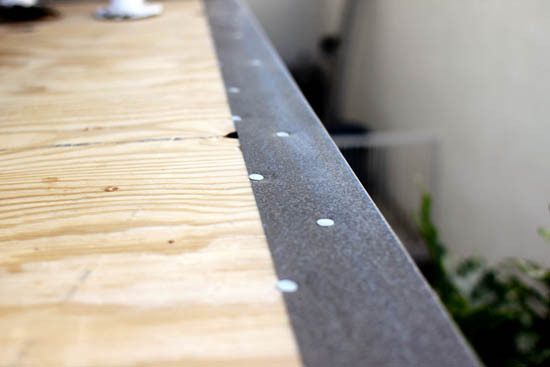 This step is very important to have your deck waterproofed correctly. Indeed, it sets our system installation apart from most other companies with a similar product. After the bonder and fiberglass have thoroughly dried we apply another coat of our specially designed polymer modified concrete, to give your Newport Beach deck coating double the strength and flexibility as a normal deck. Prestige Deck Coating Newport Beach will next apply our specialized anti-slip grip texture. This is consistently applied over the entire surface of your deck giving your deck coatings the best looks and grip. Our last layer for deck coatings in Newport Beach is 2 layers of customized texture paint sealer. This specialized paint sealer is applied on top of the finish texture coat giving you 16 different choices in color, so you can be sure your new deck coatings matches your home. We give free estimates Contact us!